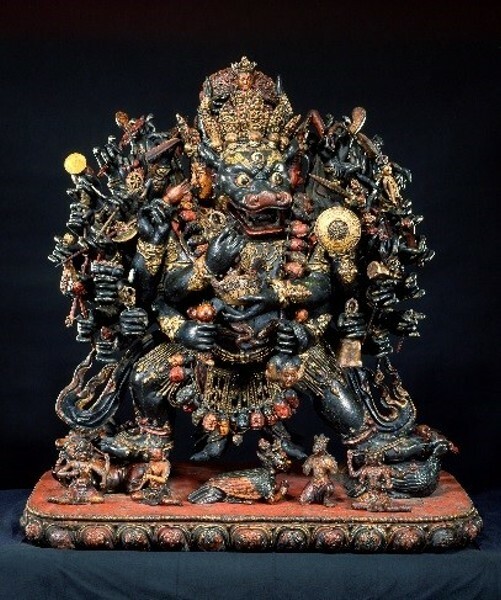 Awaken: A Tibetan Buddhist Journey Toward Enlightenment | Virginia Museum of Fine Arts | Galleries | Style Weekly - Richmond, VA local news, arts, and events. Awaken offers visitors an opportunity to explore the journey towards enlightenment through the art of Tibetan Buddhism. A series of immersive spaces puts the visitor face to face with nearly 100 spectacular objects, both historical and contemporary, drawn largely from two of the country’s most extraordinary collections of Himalayan art. Presented by the E. Rhodes and Leona B. Carpenter Foundation. The exhibition program at VMFA is supported by the Julia Louise Reynolds Fund.